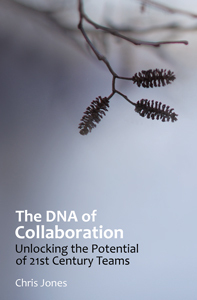 The DNA of Collaboration | Not just a book. It's a conversation. Anyone seeking to change an organization has known the pitfalls of trying to control behavior and motivation. Setting goals and expectations is not so hard. One-off wins tied to an event or a compelling speech can move the needle. But execution over the long-term .. including any lasting, sustainable change in thinking .. is another matter. Culture is not just one aspect of the game, it IS the game. I’ve always seen this as a fundamental breakthrough, a wake-up call for change the modern organization. Yet leaders will routinely, if not obsessively, plod through short-term ideas for long-term results, without ever seeing the fallacy. What’s missing is an understanding of how people in groups behave, and the implications that complexity has on an organization. I won’t try to unpack all that here. Frankly, it’s enough to fill a book (or two), and the subject of some in-depth posts. But for the sake of discussion, let’s establish a premise: people in organizations are driven more by a need for belonging and conformity with group aspirations, and less by draconian measures to direct, incentivize or otherwise control it’s members. In this light, culture can be defined (if loosely) as a set of groundrules for survival, based on what has worked in the past. New leaders and programs come and go. But the memory of groups runs long and deep. Try changing the minds of an organization on how things work. Ask Lou Gerstner. Q1. If we can’t control behavior or results, what CAN we influence? Does environment play a key role? Q2. Why do organic ways of thinking (forests, ecosystems, viruses) provide rich metaphors for understanding people in groups, and org culture in general? Q3. What can leaders try to do in the near-term to impact the long-term? Q4. Can a culture be changed? The #cdna community of thinkers became the #orgdna community last month, to better describe and focus our dialog. I think we’re off to a great start. Evidence? When one chat among a few of us creates enough ideas for 2-3 more chats, imagine what can happen if we keep going, learning as we go, even as we expand and diversify our group? Please join us. The conversation gets more lively with more ideas in play. And lord knows we enjoy a lively conversation. As always, thanks for stopping in. For people to connect, they need a space to come together. It must be a distinct place, familiar to those who gather there and welcoming to visitors who may have the chance to join. Visualizing such places in the world of brick and mortar is not difficult. The corporate conference room. The town square. The coffee shop. The water cooler. In the context of internet spaces, we must rely a bit on our imagination to craft that common space. We might use blog sites like this one on wordpress .. which we refer to as our “framing site” .. to post our ideas and frame problems to be solved. Twitter is where we talk it out. And that demands a versatile hashtag. The #cdna community, with this site as it’s home base, is finalizing a new hashtag for the next 3-years of conversation. Why 3 years? It makes the decision important enough to invest some time, and transient enough to allow for mistakes. On the internet, of course, nothing is permanent. Our current tag “#cdna” is 3 years old this month. As discussed last month, it’s time for a change, a new hashtag that’s more intutive in describing what we’re about. But in spite of some ambiguity, something manages to bring us back each month, bridging conversations with insight and energy, going beyond simple social media aquaintance. Part of the equation is personal relationships, no doubt. But another part is harder to define, because it is more capability or capacity than a tangible action. It is a breeding ground for ideas. We might to choose to call it possibility. It’s what happens when thinkers come together, bringing a small but willing supply of insight, energy and a little focus. To date, #cdna dialog has been about organizations at large, including how they seek to tackle change, and how they contemplate learning. It may seem a broad set of brushes, but we’ve used the rich palette of our experience to help us paint (re-paint, and paint anew) the complex problems and possible solutions that face leaders of all industries, spanning for-profit and non-profits alike, taking on the large and the small, the global and the local. For complexity theorists, a strong thread of social complexity is at work here. @4KM @sourcePOV i’m all for spicy dialogue, shared learning, and ideas-to-action. Well-connected, lightly constrained networks. Q0. Which hashtag best represents #cdna interests for the next 3 years? #orgchange (or #orgchg) #orgdna #futureorg (or #futrorg) #21cOrg #nextorg (we’ll accept these and other nominations from the virtual twitter floor, but these have provided the most traction so far) .. Note the crossover tags listed. These may prove important in the conversation, as we seek to further contextualize our ideas and their impacts in broader, related domains. More on culture? Have look at my original 2010 org culture series. Ok. Hashtag change is ambitious. Brands are rarely if ever able to pivot and survive. Can an online community pull it off? Let’s give it a go. We will continue to meet each 3rd or 4th Monday of the month at or around 9:30pm ET, to afford our west coast members a chance to get home at 6:30pm PT. We’re still trying to solve for the global chat equation. Stay tuned on that one. For now, we’ll look for you Monday .. let us know your hashtag preferences !! Influence and the Change Horizon: What is our Potental Reach? When we talk about change it’s often in abstract terms. But painting in broad strokes can work against us. We may forge blindly ahead, embracing soothing generalities that hide (for a time) the challenges and hard work that lie on the path. Or, conversely, we may falter out of the gate, overwhelmed by the complexities both real and imagined, soon abandonning the work to braver souls with more time, money and resources. In our urgency to divine the inner secrets of change, our thinking tends to the extremes. We land in places that are either too simplistic or too complex. Is there no middle ground? How can we hope to influence change? I believe the journey for achieving lasting change requires an honest and objective review of our potential (as both individuals and groups) to be effective change agents. I’m also increasingly convinced we should adopt a “walk before you run” model. When we talk about creating environments for change, have we considered our potential reach? Inner Circle. Friends, family, and colleagues. Truly our core base of support, but not a group that can scale. Local Impact. Those we can see, get to know, and influence directly. Global Impact. Those we can’t see and won’t get to know .. a group which can prove daunting to influence. Reach. The degree (or scale) to which we can exercise influence, considerably enhanced by social media. Q1. As an individual, what determines our personal influence and reach? Q2. As a member of a group or community, what factors extend our #influence and what factors hurt us? Q4. What factors might serve as a ‘tipping point’ for broader or global change adoption? Q5. What concrete steps should we embrace early on to expand (or optimize) our ability to reach others? Props to Scott Smith (aka @d_scott) for his guest post and moderation last month on “Spheres of Influence” .. one of his ideas (and Q’s!) spawned today’s line of thinking. The #cdna community meets every 3rd MONDAY of the month to talk about the possibilities of change. Please join us for the conversation. We are actively seeking guest topic framers and guest moderators. Let me know if you have interest. Wheatley’s Latest on Social Innovation: Do we Regroup or Redouble Our Efforts? Most of us can name our role models, including, if not especially, our favorite visionary thinkers. Their ideas resonate. They speak, and it all makes sense. So when Margaret Wheatley shared her doubts on our ability to influence social change and social innovation on a large scale, it was more than a wake-up call for me. It was more like a bucket of ice water. Sure, it makes sense to hedge on our boldest forecasts. But should we conclude, as Wheatley has done, that there’s no evidence for lasting social change? Listen to her 2013 interview or skim the transcript .. posted on i-Open courtesy Betsey Merkel, and shared on Twitter by my friend Bruce Watluck. Wheatley’s concern centers on the ubiquitous psychological resistance to change that she repeatedly encounters in her work. It’s a resistance fueled by powerful cultural forces that feed on self-interest and narcissistic thinking. We can see evidence of this everywhere, of course. We can see it in our ads, as she says, as well as in our sports and in our leaders. It’s a sobering message. So she hasn’t abandoned efforts to inspire, or to guide deeper meaning. She still talks of embracing and advancing the human spirit. But I’m afraid the elephant is still in the room. Let’s not retreat on the scale of what’s possible. There’s too much at stake. Education. Healthcare. Energy. It’s a long list. So let’s ask this ..
How long should social innovation take? It’s certainly not overnight. And with extended timeframes, the critical element of resilience .. our ability to sustain visionary leadership .. comes into play. It’s interesting she has written on a parallel theme, perseverance. From what I’ve read about culture and prevailing paradigms, I think it’s likely that social change would be best measured in decades, at a minimum. The larger the ecosystem, the longer change will take. The more entrenched the social conventions, the longer it will take to unwind them and to develop new ones. A few examples of decade-plus emergent innovation I’ll offer as evidence: the transformation of IBM from hardware to software (10-15 years), the American Revolution (50-60 years), and the global Human Rights movement (100 years plus). Each of these studies in social change took a long time to happen. Each was more fragile and difficult to achieve with scale. Yet all these examples led to lasting ecosystem change. We can trace evolution from important initial conditions, strong and persistent local catalysts, environments that allowed new rule systems to emerge and to ultimately survive. These are features of a complex social system, one that learns and adapts. I believe emergent innovation is possible. If I’m right, we’ll have to be patient. We’re wise to start small, and build slowly. Ultimately, as our innovation expands, we’ll have to lead with incredible resolve, operating within and among strongly connected, resilient, and well-aligned communities. And we’ll have to have the long term view. For our #cdna chat at 8pm ET on MON 9/15, let’s take apart Meg Wheatley’s arguments and my own, to see what we might make of them. Q1. Is social innovation dead? oversold? not fully baked? or misunderstood? Q1(b.) [emergent] Are social change and social innovation interchangeable in the context of this frame? Q2. What are your views on our ability to influence change in social settings (e.g., culture)? Q3. [emergent] What is your sense of Wheatley’s concerns re: cultural resistance? Q4. How does the time dimension factor into our chances? Can we accelerate our desired change? Q5. What are the fundamental drivers in the discussion of social change? I’ll bring an open mind to this, as always. But so far, I’m holding out for possibility. I have a deep conviction in our ability to make things better. Let’s discuss it. Roughly once a month, a small but growing group of independent thinkers comes together around hashtag #cdna to unpack social learning and the nuances of intentional collaboration. It seems we always take a little something home. Given time, we may just come up with some new rules ..
Join the conversation using http://tweetchat.com/room/cdna .. simply sign-in with your Twitter account, and authorize the app ..
Thomas Kuhn, The Structure of Scientific Revolutions (1962). Margaret Wheatley, A Simpler Way (1996). Margaret Wheatley, Leadership and the New Science (2006). John Miller and Scott Page, Complex Adaptive Systems (2007). Chris Jones, The DNA of Collaboration (2012). 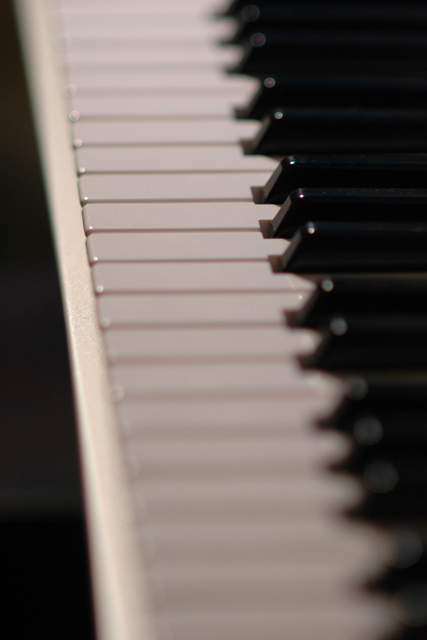 Patterns: Are They Keys to Unlock Deeper Learning? Thinking in Patterns: It’s not all that hard. But what more can be learned by looking at the relationships between things? CHARLOTTE, NC. As we continue to examine what we know (and what we don’t!) about 21st-century learning, I’ve recently stumbled back upon a foundational element of our cognitive process: the search for patterns. As adults (including those parents helping kids with homework!) we might not even call them “patterns”. But look back. The trail is clear .. Since our school days in math class we traced relationships, from number lines to fractions to geometry and beyond, gaining our first inkling about how our world relates. Positive and negative. Numerator and denominator. Slope and intersect. Sine and Cosine. A bit abstract for some, of course; many were happy to leave it all behind. But have we truly left it behind? In your mind, sneak back into art or music class. The language of patterns literally leapt from THOSE class rooms. So often we were learning about relationships (across a color palette, say, or discerning nuances among different styles, or notes, or textures) .. and ultimately .. it came down to learning how to navigate similarities and differences. Thinking in patterns lies in stark contrast to rote memorization model, where everything is classified, discrete, and frozen. We can learn that way too, of course. But relying upon a heavily structured, pre-defined taxonomy of knowledge (or brush strokes, or notes on a staff) can get top heavy quickly. And it is, I think, fundamentally convergent and limiting .. Contrast that with the alternative. There is a flow of options available when we learn through pattern matching. In this learning mode, the flow of insights is often continuous, providing us with a steady supply of raw materials, as options. Our thinking here is expansive and more open ended, as we seek not to classify but to connect, not to name but to relate. It is easy to label these thinking models ‘left brain’ vs. ‘right brain’ because there has been so much historical debate. The CW then (and sometimes more recently) would hold that left brainers seek to reason and be rational, and right brainers favor imagination and creativity. The debate hasn’t always been friendly. More recent f-MRI scans tell a more holistic story, but the diverse brain functions are still there. I often refer to Iain McGilchrist’s very excellent 2010 RSA piece on the topic as more recent thinking on this. It’s as good a stake in the ground as any I’ve seen, and worth a look. And so I did. My arpeggio playing skills have improved rapidly. Q1. How does thinking in patterns differ from learning by classifying? Q2. Can we introduce pattern thinking in domains historically given to structure, taxonomies and rules? Q3. Is the left-brain vs. right-brain debate still relevant? Q4. Which discipline thrives in teaching patterns? Art? Math? Music? Do English and Science have a chance? Hope you will join us for #cdna on MON 6/16 8p EDT. We’ll discuss, reflect, and even brainstorm a bit .. in hoping we might learn a few things. Seems we often do! CHARLOTTE, NC. Leadership and organizational learning are hard enough on a good day, when things are calm. When our surroundings become turbulent the situation can worsen quickly, as we begin facing new obstacles. The rules change. Challenges arrive more rapidly. Problem definitions morph before our eyes. Goals begin to shift in real time. Team members may end up in different roles, and the opportunity to communicate with them may be limited. Whether its new management, new competitors, or even new regulatory presures, leading in times of change places considerable demands on us (ref: 21st century Kotter; see also: Collaboration DNA). Learning focus can move to the back burner. Out of fear, do we simply latch onto survival instincts? Or do we manage to focus, somehow, on the challenges flowing toward us? Too often, fear consumes us. When we most need our thinking and perception skills, the flood of rapid change can cause paralysis or panic. Q1. What are some secrets for change and learning leaders seeking to function in turbulent situations? Q2. Can an organization still learn when rough waters distract us? Q3. Are there good arguments to suspend learning when focus shifts to survival? Q4. As the world grows more connected and accelerated, the rate of flow can only increase; will we ever see smooth sailing again? I hope you will join us MON May 12th at 8pET using hashtag #cdna. 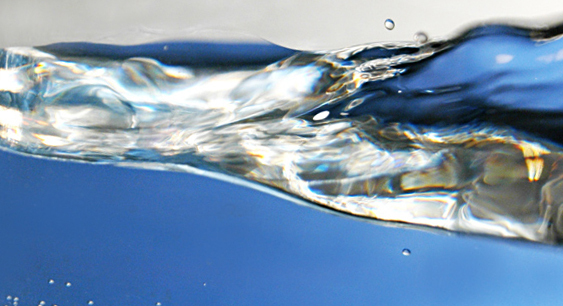 Water metaphors or no, we always have in-depth conversations. Bring an extra paddle, and let’s see where we might go.